Starr Mazer is a modernized fusion of 2 classic genres: The point-and-click (PNC) adventure and horizontal scrolling shoot 'em up (SHMUP). 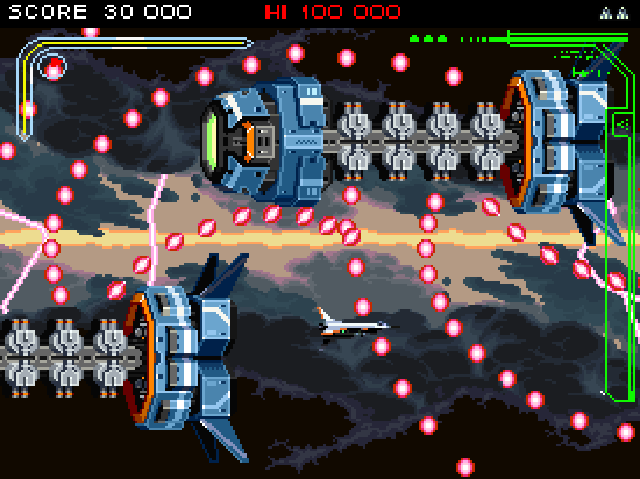 The game is highly replayable as both the PNC story and SHMUP levels of each playthrough are procedurally generated and significantly different each time. In this regard it is different from traditional PNC Adventures, which were linear in their storytelling and did not yield anything new on subsequent playthroughs. The narrative progression of each playthrough uses Open-Middled Gameplay (OMG!) 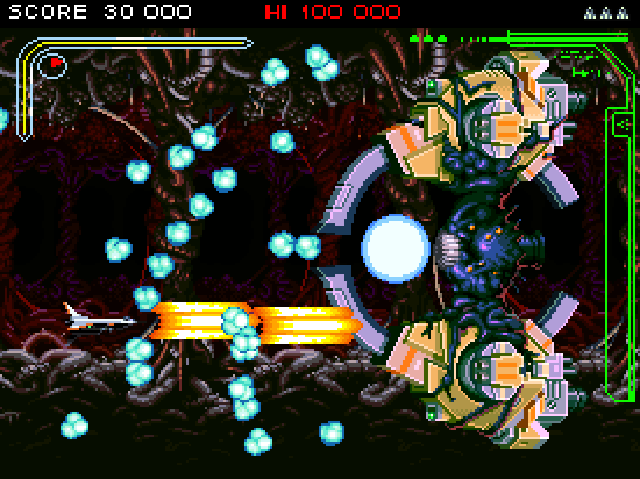 in that the story modules kick off predictably and the endings are varied and satisfying, but what happens in between is up to the predetermination of the story creation algorithm as well as the choices the player makes, performance in the SHMUP segments and a host of other environmental / chronological / enigmatic variables. 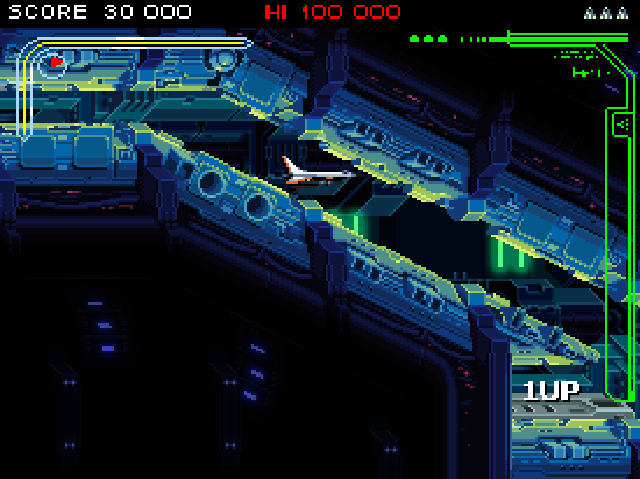 Though procedural, both the PNC and SHMUP segments of Starr Mazer are highly crafted to provide an engaging, beautiful, exciting and replayable experience. Great care has been put into the modular PNC story engine and SHMUP level assembly. 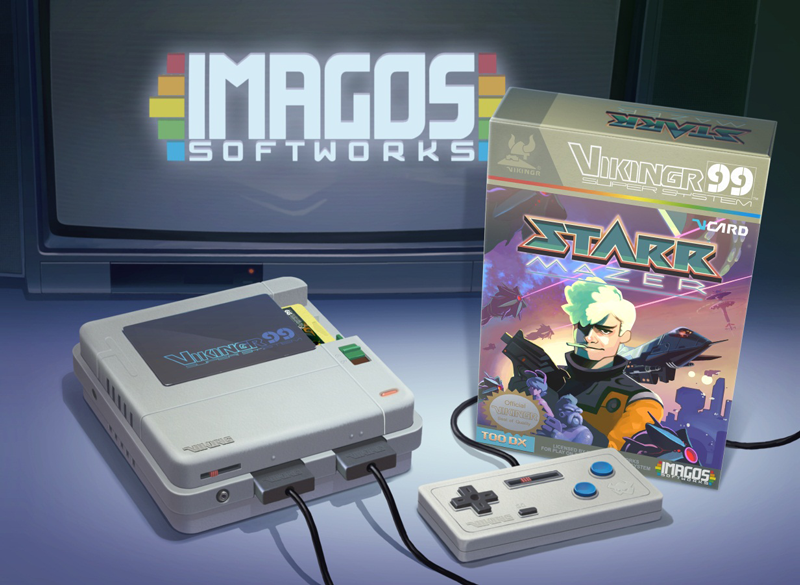 Starr Mazer is Imagos Softworks co-founder Don Thacker's dream game, and has been in the works for years. The collision of thoughtful and puzzeling point-and-click adventure and super complex, action packed, beautifully patterned shoot 'em up was first unleashed in video form in Imagos Films's award winning indie feature Motivational Growth, where it was showcased to set the 90s TV / game obsessed tone and as an animated setting for the protagonist, Ian Folovor, to experience when sucked into his television set. 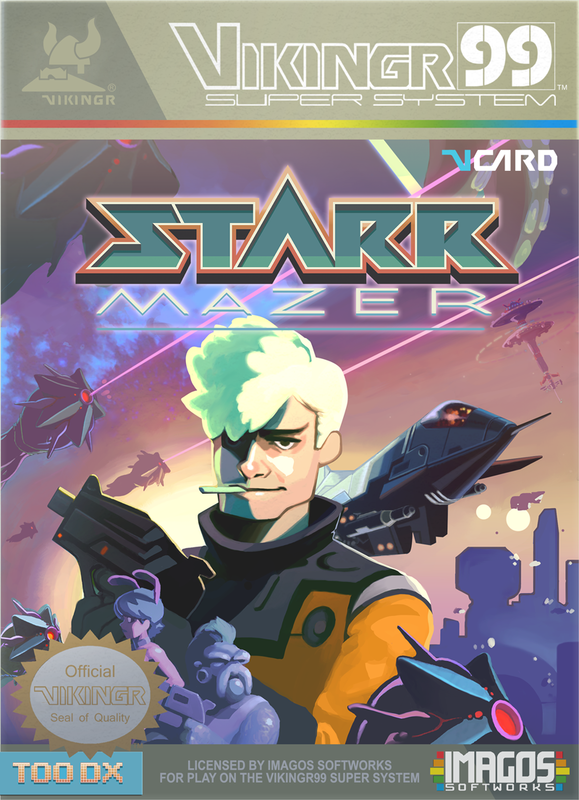 However, Starr Mazer outdates Motivational Growth by a decade, and its development represents the exciting realization of years of work to establish the experience and relationships required to bring the dream of Starr Mazer to life. 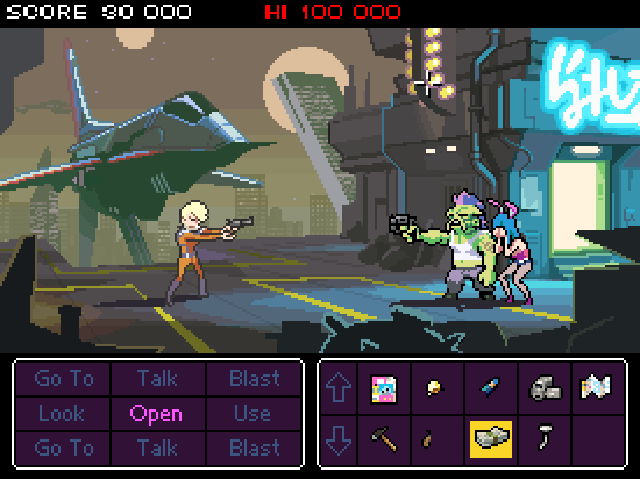 Starr Mazer is now deep in development by Imagos Softworks in collaboration with TOO DX and a staggering host of artistic contributors from the independent game scene. 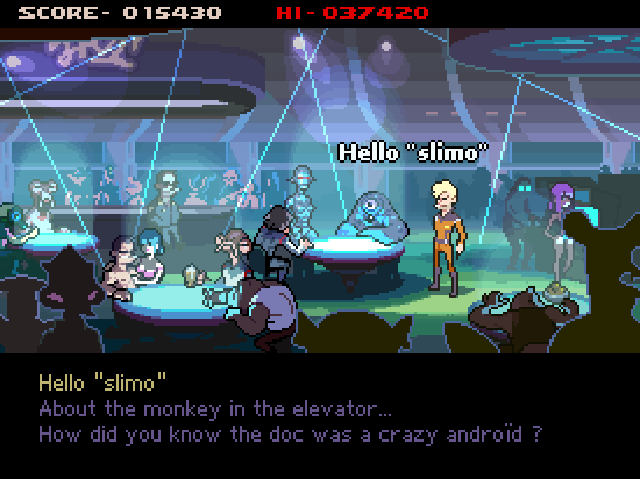 Fantasticly deep story driven point-and-click adventure IN SPACE! 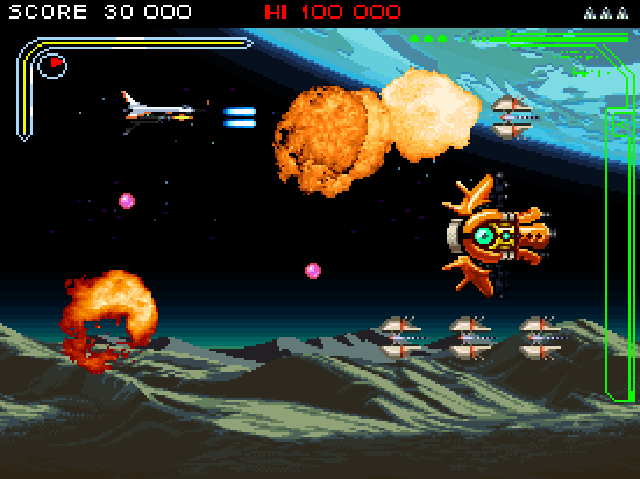 Classic style horizontal scrolling shoot 'em up inspired by the best in the genre! Open-Middled Gameplay (OMG!) dynamic story module system for MASSIVE replayability! 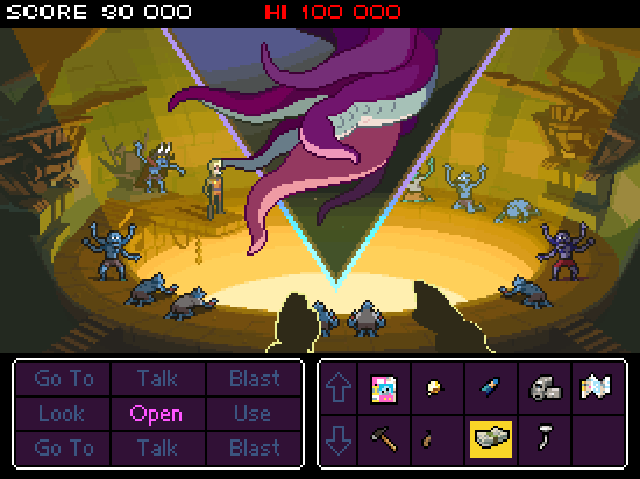 Ridiculously beautiful pixel art and animation! Fully voiced with fan-favorite voice talent from Film and TV! YOU PILOT A DSP MKII SPECIAL ASSAULT FRAME CALLED THE "STARR WOLF" <-- THE BEST!!! 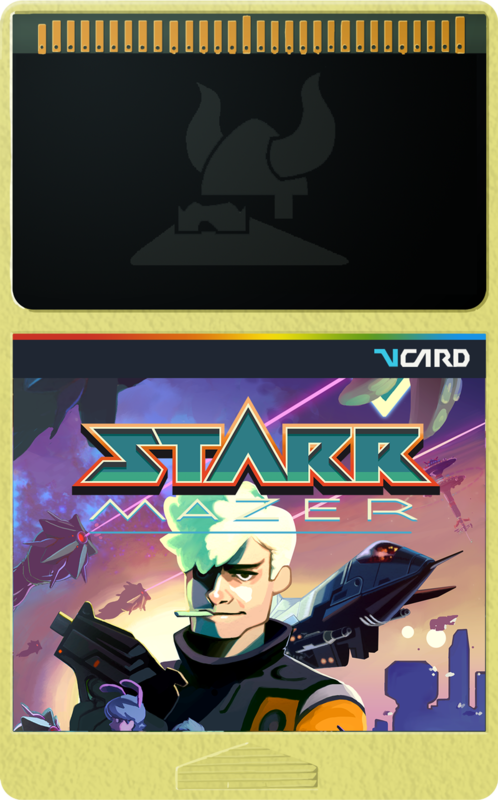 Starr Mazer announcement press release for 1/20/2015 at imagossoftworks.com. There's a lot happening with Starr Mazer on twitter.com. 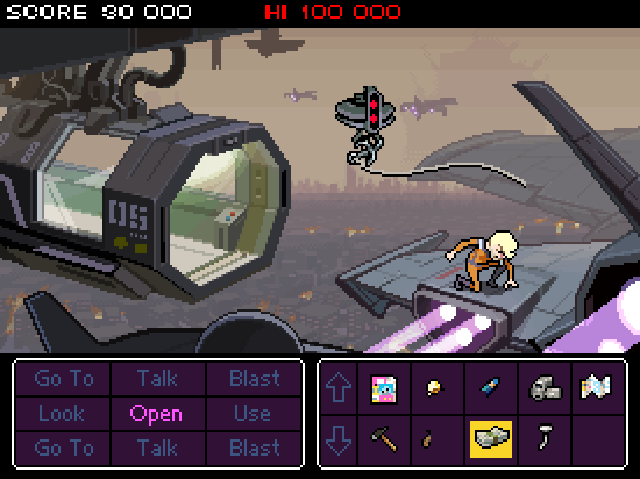 Watch the developement of Starr Mazer in 6 second cunks at vine.co. Starr Mazer developement pictures FOR YOUR FACE at instagram.com. More information on Imagos Softworks, our logo & relevant media are available here.